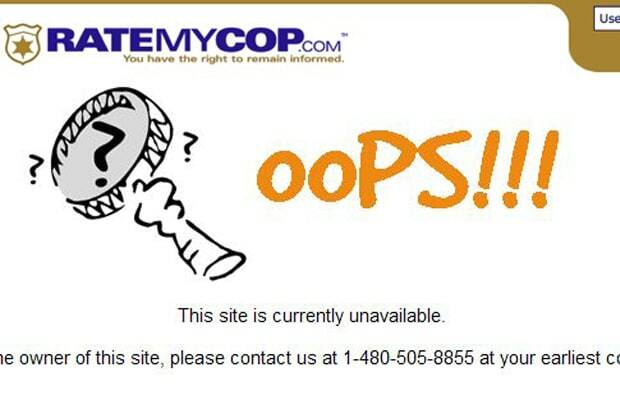 The police-watching site that lets users comment on their interactions with law enforcement officials was temporarily taken offline for engaging in “suspicious activity.” At least that's what Go Daddy told founder Gino Sesto when he called the company. But when speaking with a supervisor, the script was flipped, stating RateMyCop.com had surpassed GD's 3TB bandwidth limit. Sesto's response: "How can it be overloaded when it only had 80,00 page views today, and 400,000 yesterday?" Bagged!